Paul Colford, director of media relations for the Associated Press (AP), has the unenviable task of publicizing the AP’s bureau in Pyongyang, opened in January of last year with a reporter and photographer hired from the Korean Central News Agency (KCNA) comprising its local staff. While the AP boasts of having the first western news bureau in the North Korean capital, AP publicity does not acknowledge that the bureau operates under constraints that raise questions about whether it’s a real bureau. Associated Press President Tom Curley, left, and Korean Central News Agency President Kim Pyong-ho stand in front of the AP's new Pyongyang office on Monday Jan. 16, 2012. The lone North Korea reporter does not file often, and, when he does, generally confines himself to material from KCNA that’s already been quoted by the AP and others routinely monitoring KCNA in Seoul and Beijing. Jean Lee, the AP’s Korea bureau chief, based in Seoul, goes to Pyongyang via Beijing from time to time, but she’s not able to fly in and out whenever she pleases. Moreover, she has to be accompanied by a North Korean guide or minder when she ventures outside her hotel in search of news and features. The article in question was headlined, “A quiet envoy to the hermit kingdom of North Korea.” The story was about Tony Namkung, the erudite Korean-American who frequently visits North Korea and helped set up the bureau. 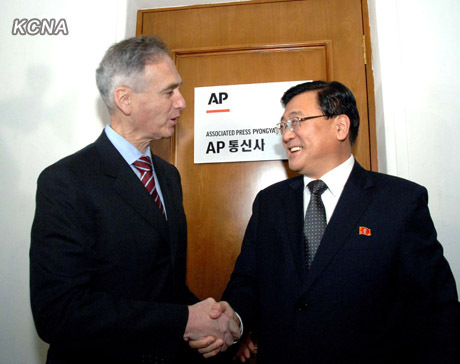 Namkung was last in Pyongyang in January with AP Vice President John Daniszewski, managing editor for international news, on the first anniversary of the bureau’s opening. The AP rarely credits him, preferring either not to mention him or to call him simply an “Asian expert.” Namkung’s importance was hard to ignore, though, since he had gone to Pyongyang the week before with Google Chairman Eric Schmidt and the former New Mexico Governor, Bill Richardson, whom he had accompanied on previous visits. Stories culled by The Monitor/AP, far from proving the AP was not avoiding human rights, wound up proving the opposite. That revelation raises the fundamental question about the style of AP coverage on this issue—far below normal AP standards. Indeed, the exchange between the AP and The Monitor revealed not only the reluctance of the AP to report from Pyongyang on human rights abuses in North Korea but also the AP’s extreme sensitivity to criticism on the subject. The AP went to great lengths to show that some of its reporting from Pyongyang addressed the issue, but in every instance those allusions were from material picked up in Seoul or Washington, not Pyongyang. The exchange pointed to the broader problem of what the AP is doing in Pyongyang, the type of reporting it’s able to do from there, and clearly the limitations it faces (real or perceived) when it comes to human rights. There were no signs anywhere that the AP in Pyongyang had actually asked North Koreans about human rights abuses or sought to obtain information on the topic from NGOs and foreign diplomats in Pyongyang. A story by Jean Lee on December 22, 2012, about the American missionary Kenneth Bae’s detention arrest on a visit to the Rason economic zone said near the end, “North Korea has several sanctioned churches in Pyongyang but frowns on the distribution of Bibles and other religious materials by foreigners.” The article, with a Pyongyang dateline, carried a tagline citing correspondents in Seoul and Seattle (Bae’s home state) as contributors. In fact, North Korea more than “frowns on the distribution of bibles.” As attested by numerous defectors, anyone found with such material faces torture, imprisonment and death. As for associating Christianity with foreign interference, suppression is so strict that North Korean refugees typically say they never heard of Christianity or God until encountering missionaries in China who facilitated their travel via circuitous routes to South Korea. AP reporting from Pyongyang, far from presenting an accurate appraisal of the North Korean view of Christianity, ignores the reality of harsh persecution. I have visited two of these churches since first visiting Pyongyang in 1992. At the Catholic church in July, every pew was occupied by women with white handkerchiefs on their heads. A diplomat from an African country, who had attended the service in a front-row seat reserved for serious foreign worshippers, laughingly confirmed that the congregations are rounded up for foreign observers. At the end of the service, they all got up and left silently, not glancing at those of us waiting around the door. “In the rigidly planned economy of this Stalinist state,” he asked, “could this be the first flicker of reform?” It was a question that I had also asked while visiting the most fertile farming regions south of Pyongyang in July, seeing the land looking lush with new crops and hearing from our inevitable guide-minders that farmers in a collective were able to keep a percentage of what they grew. There were, however, serious problems with Sullivan’s article. For one thing, it carried a Pyongyang dateline. Had he reported from a farming region, he would have been accompanied by guide-minders but might still have gained impressions that were missing. Instead, for substantiation he relied on quotes from American experts in Washington who had never visited the area either. What was new, as emerged later, was that people were starving—not only in the poorest regions, but also in the two Hwanghae provinces covering the relatively rice-rich area of southwestern North Korea to the Yellow Sea and the western border with South Korea. The farmers who grew the crops had received diminished percentages, the World Food Program reported, while the government took most of their produce to feed the army and the elite during observances marking the 100th anniversary of the birth of Kim Il Sung on April 15, 2012 and preparations for rocket tests in April and December—the former a failure, the latter a success—and the underground nuclear test in February 2013. The Monitor’s rationale for accepting the AP view that Sullivan’s article reported fairly on human rights consisted of a couple of paragraphs tacked on at the end. “North Korea is still a police state where contact with foreigners is forbidden without official permission and where rights groups say well over 100,000 political prisoners are sealed off in sprawling camps,” said the first paragraph. None of this material reflected coverage from Pyongyang or anywhere else in North Korea. The add-on paragraphs gave an impression of addressing the issue of human rights, but the “rights group” was neither named nor quoted directly. (The phrase “rights group” was singular in the AP report.) No rights group has made such declarations from or in Pyongyang. 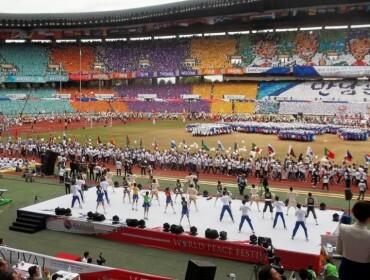 The AP sought to give an impression of taking account of the human rights issue, but the result was boilerplate reported many times from South Korea—an attempt not at coverage from the North but at “objectivity” or “balance” in an ill-founded report that was proved fallacious as evidenced in comments from Ruediger Frank of the University of Vienna and Bernhard Seliger. Pak Jong-suk at the Pyeongyang news conference. The AP report said the “rare public account” could not be “independently confirmed” before quoting the woman as confessing, “I am an ingrate who had betrayed my motherland to seek better living while others devoted themselves to building a thriving nation, tightening their belts.” Beside her were the son and daughter whom she had left behind. As Jean Lee, AP Korea bureau chief, would surely know, no “ordinary citizen” says anything in public in North Korea that is not authorized. Nor does anyone say anything unauthorized to any foreign visitors in private, since minders assiduously block all contacts with real people. As for bristling over reports of abuses, the North has loudly denounced such claims for years. While scrupulously avoiding these details, the AP ignored the back story—reports that the woman returned to North Korea to keep authorities from torturing, imprisoning and possibly executing her entire family. Surely that detail was central to understanding of why she had returned to Pyongyang and why the North Koreans had her giving what was called a press conference. Nor did the AP story let readers know if anyone from the AP had actually attended the press conference, purportedly for the foreign as well as domestic media. In any case, anyone asking her about fears for her family would be asking for trouble. The AP convinced The Monitor that this sentence showed the AP was not avoiding the human rights issue, but both The Monitor and the AP failed to note there was no attribution of any kind—to a specific spokesperson, an official media source such as KCNA or an agency or ministry. Rather, as anyone covering the North would know, the line is a ritual recitation of loudly stated denials in the UN, at parleys of the UN Human Rights Council in Geneva and elsewhere. Nor would coverage from North Korea have been the source of the statement that 23,000 North Koreans have defected. That figure comes from South Korea’s unification ministry. Other than to exploit the return of the repentant Pak Jong-suk, North Korea does not acknowledge defectors. The report evinces no sign that the AP in Pyongyang asked anyone there about the defector problem—though the AP/Monitor cited that mention of defectors as proof of coverage of the human rights issue from Pyongyang. The AP/Monitor also cited the latest U.S. State Department report of North Korean human rights abuses—again material from thousands of miles away. One has to ask what the editors at the AP and The Monitor were thinking in their effort to defend the AP’s integrity. How could a State Department report on human rights be construed as part of AP coverage from North Korea of human rights? There was no sign of any effort on the part of the AP in Pyongyang to probe within North Korea for abuses. The AP/Monitor came up with yet another example—one story by Tim Sullivan about a media bus that veered off the scheduled route during a tour of Pyongyang. 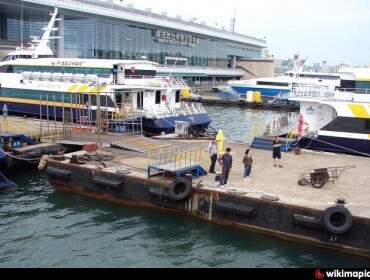 The journalists were there to publicize the centennial of Kim Il Sung’s birthday in April 2012 and the rocket launch that sputtered into the Yellow Sea two days before the anniversary. Sullivan’s amusing story had nothing to do with human rights. Unaccountably, a Monitor editor concluded, in an email to me, that these examples “make a more literal reading of the original phrasing invalid.” While it’s not clear what “literal reading” he had in mind, it is clear that Colford of the AP succeeded admirably in defending the AP and intimidating a news organization. The episode says a great deal not only about the AP’s misleading reporting from Pyongyang, but also the extent to which the AP will go in bullying an organization that relies on the AP for material, sometimes at extremely low rates. The inevitable question is whether the AP should maintain what it claims is a legitimate bureau in Pyongyang. If the AP got tough in Pyongyang, perhaps the regime would threaten to close the bureau or ban reporters such as Sullivan, who has written strong stories about North Korea from Seoul and Beijing. Or maybe the AP, clinging to what it’s got, would be first on the scene of cataclysmic change—not parades and exhibitions and mass displays, but upheaval reminiscent of that in the Middle East and East Europe. That’s reason for keeping a bureau that has so far served largely as a conduit for chirpy, upbeat stories rather than real news. While waiting for Armageddon, the AP needs to ask sensitive questions in Pyongyang as it does everywhere else. For instance, there is no excuse for the bureau not to have at least tried to investigate threats to Pak Jong-suk’s family. The failure to mention that issue in its coverage, much less ask about it inside North Korea, demonstrates the AP’s reluctance to touch upon human rights and other sensitive subjects in its reporting from Pyongyang for fear of offending the North Koreans and jeopardizing the bureau’s presence. That’s a compromise that the AP is not accustomed to making in its reporting from elsewhere. Jean Lee acknowledged these realities in a panel discussion sponsored by the East-West Center, Honolulu, at Yonsei University, Seoul, June 24. 2012. The author attended the event. 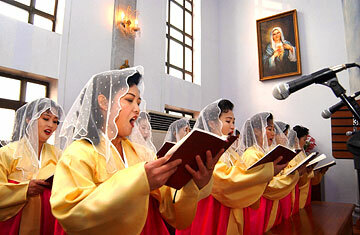 Donald Kirk, “A quiet envoy to the hermit kingdom of North Korea,” csmonitor.com, February 4, 2013, http://www.csmonitor.com/World/Asia-Pacific/2013/0204/A-quiet-envoy-to-the-hermit-kingdom-of-North-Korea. Paul Colford, email to The Monitor, February 5, 2013. Korean Central News Agency, Pyongyang, January 14, 2013; John Daniszewski, “AP opens full news bureau in North Korea,” Associated Press, Pyongyang, January 16, 2012. 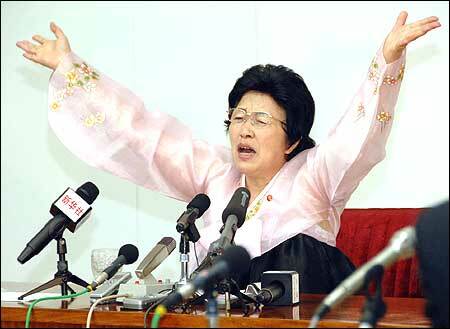 Jean H. Lee, “NKorea says it has detained a US citizen,” Associated Press, December 22, 2012. “NKorea criticizes SKorean border Xmas tower,” Associated Press, December 24, 2012. United States Commission on International Religious Freedom, annual report, March 2012, p. 8, p. 41. 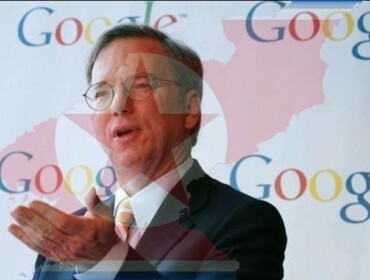 Tim Sullivan, “Is North Korea experimenting with change?” Associated Press, September 12, 2012. 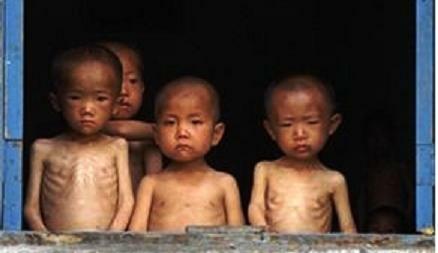 Donald Kirk, “North Korea reforms? Hopes dashed after parliament session,” csmonitor.com, September 24, 2012, http://www.csmonitor.com/World/Asia-Pacific/2012/0925/North-Korea-reforms-Hopes-dashed-after-parliament-session. Ruediger Frank, professor, East Asia economy and society, University of Vienna, cited the World Food Program as reporting that the Hwanghae provinces were considered among the regions hardest hit by famine, email, February 11, 2013; James Hoare, former UK envoy to North Korea, reported similar impressions, email, February 7, 2013. “North Korean claims South agents tricked her to defect,” Associated Press, June 28, 2012. 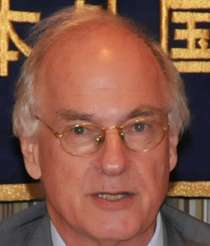 Luke Herman, “Why do People Keep ‘Re-Defecting’ to North Korea,” www.nknews.org, November 11, 2012 http://www.nknews.org/2012/11/why-do-people-keep-re-defecting-to-north-korea/; Chico Harlan, “Behind North Korea’s propaganda star, a darker story,” Washington Post, September 22, 2012. Tim Sullivan, “Wrong turn grants glimpse behind NKorean curtain,” Associated Press, April 13, 2012.